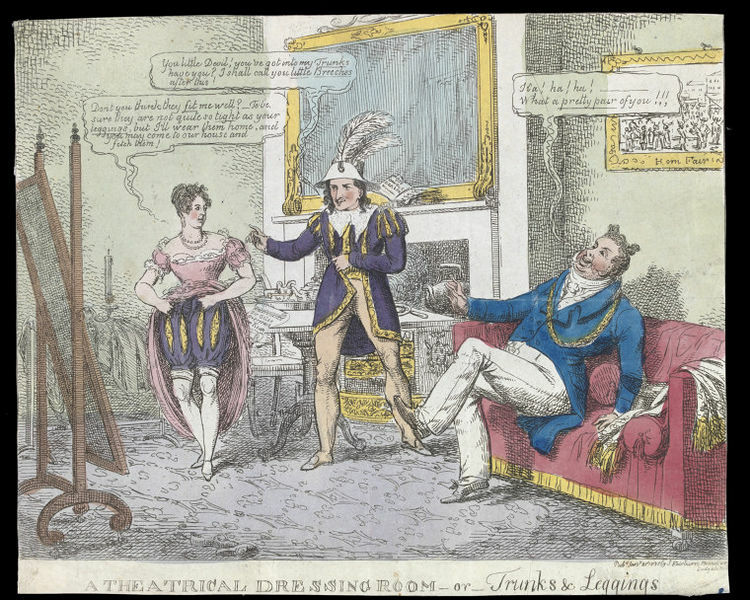 Print entitled 'A Theatrical Dressing Room, or, Trunks and Leggings'. Image satirises the affair between Edmund Kean and Charlotte Cox. Published by J. Fairburn, 1825. 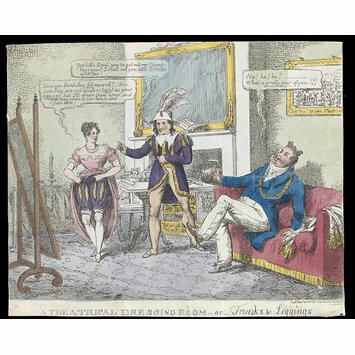 Print entitled 'A Theatrical Dressing Room, or, Trunks and Leggings', depicting Edmund Kean, Charlotte Cox and a third man. 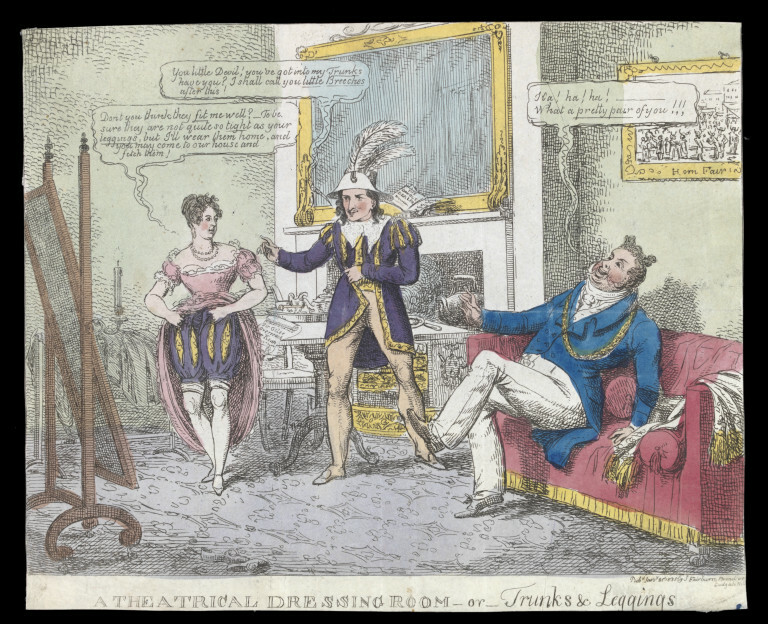 Print entitled 'A Theatrical Dressing Room, or, Trunks and Leggings', published by J. Fairburn, 1825, Harry Beard Collection.